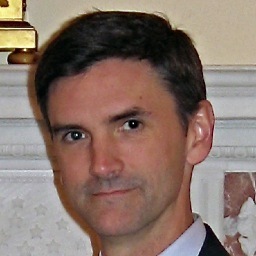 Ed Rodley is the Associate Director of Integrated Media at the Peabody Essex Museum (PEM) in Salem, MA, and a member of the Board of Directors of the Museum Computer Network (MCN). At PEM, he manages a wide range of media projects, with an emphasis on temporary exhibitions and the reinterpretation and reinstallation of PEM’s collections. He’s worked in museums for his whole career and developed everything from apps to exhibitions. Incorporating emerging technologies into museum practice has been a theme throughout Ed’s career, and he is a passionate believer in the potential of digital technologies to create a more open, democratic world. I’ve spent my entire adult life in museum work. I am currently Associate Director of Integrated Media at Peabody Essex Museum (PEM) in Salem, MA. Prior to that, I was in the Exhibits departments at the Museum of Science, Boston for a long time. In my current position, I develop and manage a wide range of digital media projects, with an emphasis on temporary exhibitions and the reinterpretation and reinstallation of PEM collections. The use of the word “Integrated” in my title instead of “New” or “Digital” is a manifestation of PEM’s philosophy on the central role of these new digital technologies in our practice. I have degrees in Anthropology and Historical Archaeology, which come in handy way more often than one might think. Despite my father’s pessimism when I chose Anthro, it’s always useful to understand how groups of humans organize and interact. Aiya! Which one to choose? Probably the big one occurred several years after I‘d started volunteering and then working front of house jobs (visitor services, guard, garage attendant…) at a museum. I barged in on a lunch a friend was having with another coworker who was bemoaning how understaffed and overworked she was. She was in charge of temporary exhibits, and until that moment it had never really sunk in that making exhibitions was a job you could have. I had always loved museums and learning in museums, but that lunch gave me a career path, nebulous but real. And I’m still on that path, lo these many years later. My blog is called Thinking About Museums hopefully for obvious reasons. I’ve been blogging since 2009, and actively since 2010. The subtitle for my blog is “thoughts on museums, content, design, and why they matter” and I think it pretty neatly sums up my blogging repertoire. The blog is a way to keep ideas and issues of professional interest to me alive in the face of the day-to-day realities of getting work done. It provides a semi-permanent (at best) incarnation of the thoughts and ideas banging around inside my head, on the day I posted them. Since becoming an active blogger, I’ve realized it’s a tremendously powerful way to take part in the big discussions going on in the field and grapple with issues. Blogging has been my museum studies program and directly informed my practice, my presentations and publications since I started. I wrote a long three post review of the Museum of Old and New Art (MONA) in Hobart, Australia. MONA is one of the most interesting museums on Earth as far as I am concerned, and going to Tasmania to see it was one of my peak experiences as a museum professional. I did not expect the posts to generate as much interest as they did and I certainly didn’t expect the founder/owner/director of MONA to chime in on the comments for that post. When I got the notification that there was a comment from David Walsh awaiting moderation, I did one of those classic double-take gestures of looking at my phone, looking away and then whipping my head back around to look again. “Not that David Walsh, surely! ?” It was some time before I could bring myself to look at the comment, for fear of what he might’ve said. It turned out to be a lovely clarification and validation of some of the things I’d said, but it really rammed home the fact that when you put your words out there, you’d better expect that the people you talk about will talk back to you. I exercise even more caution and rigor in my editing than I did before, and it’s improved the product. For general museum badassery, I read Nina Simon’s Museum 2.0 blog. For more digital museum goodness, it’s Seb Chan’s Fresh and New(er), and for new thinking, I’m a huge fan of Suse Cairns museumgeek. Twitter is my #1 social media tool for professional development, to the extent that I’m actually working on a presentation on Twitter for museum types for PEM staff. It’s a great way to find interesting stuff, disseminate findings, discuss projects, find collaborators and colleagues, and build your own personal professional network. I’m pretty focused on the digital skills divide these days. There’s so much opportunity out there for museums to engage audiences, but there’s so little bandwidth and knowledge in the profession about how to employ these tools. I hear a lot about it being a generational issue, but I disagree. The rising generation’s skills will be out of date as fast as any other generation’s without ongoing professional development. Figuring out how to transform museums’ work culture to one that places that development front and center is the biggest challenge and opportunity facing us today. It’s a time of great foment in the field, with lots of attention pointed outwards for new models, modes, and missions. Open access, games theory, social media, distance learning… the list is long. If you can bring any of that into the field, you’re more likely to differentiate yourself from the annual crop of hopeful museum studies graduates trying to get into museum work. Get some special sauce and bring it with you. Thanks for participating in Meet a Museum Blogger, Ed! In case you missed it, Ed blogs at Thinking About Museums. Do you have any additional questions for Ed regarding his profile above? Feel free to start a conversation in the comments below or reach out to him directly on Twitter. His Twitter handle is @erodley. Please use the #MuseumBlogger hashtag. TY! Tags: Anthropology, Ed Rodley, Fresh and New(er), Historical Archaeology, Museum 2.0, Museum Computer Network, Museum of Old and New Art, Museum of Science Boston, museumgeek, Peabody Essex Museum, Thinking About Museums. Bookmark the permalink. I see him around all the time! Pingback: Engaging Museums by Dana Allen-Greil » Meet a Museum Blogger: Me!